The Breeze SleepGear Interface System with DreamSeal Mask is a non-restrictive and non-confining headpiece and mask that is designed to "float" over the face and contour with your head. This system has no confining straps to struggle with and when worn, allows patients to sleep in almost any position. 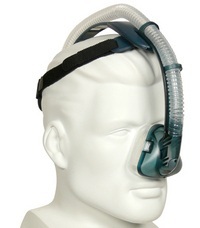 These masks are made for use with CPAP Machines. 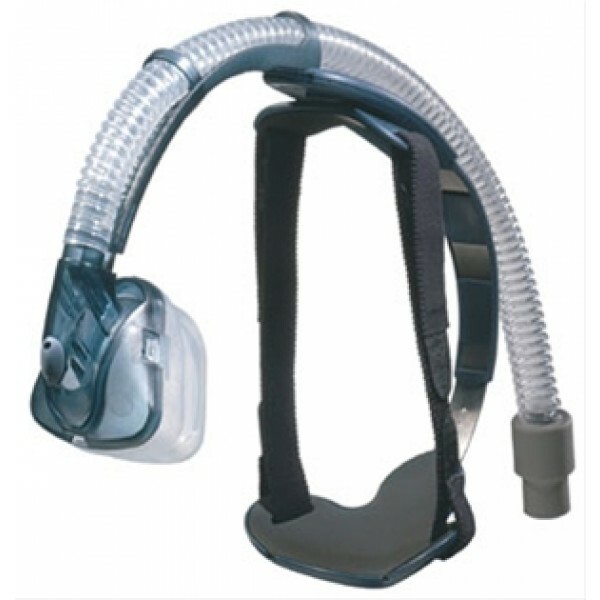 The Breeze SleepGear Interface System with DreamSeal Mask is a non-restrictive and non-confining headpiece and mask that is designed to "float" over the face and contour with your head. This system has no confining straps to struggle with and when worn, allows patients to sleep in almost any position. New Clips- A new clip has been added to the Nasal Pillows assembly to give patients greater flexibility in positioning the halo straps for a secure fit. Comfortable - The cradle pad has thicker padding to increase comfort for a good night's sleep. Convenient - A cuff has been added to the swivel adapter to help keep it in place. I have used this mask for years and the nose piece breaks at least once a year. All they need to do is make it out of the correct material. I am sure the make this way to keep selling parts and masks. It also rubs the hair off the top of your head.